Large scale power storage has long been one of the energy industry's biggest goals. The modern electrical grid works on a completely on-demand system. That is, power plants need to produce all of the energy the grid requires, all of the time. This makes it hard to judge when to bring plants online and when to take others down. Avoiding situations where not enough energy is generated as well as wasting energy is a constant battle. Today, after just a few months of construction, Tesla has a substation that is growing ever closer to meeting the goal of reliable energy storage. A partnership with Southern California Edison at their Mira Loma substation, the new system can store up to 80MWh and deliver up to 20MW to the grid on demand. That's enough to power 2,500 homes for an entire day. The facility covers 1.5 acres and is divided into two banks of 198 individual Tesla Powerpacks. 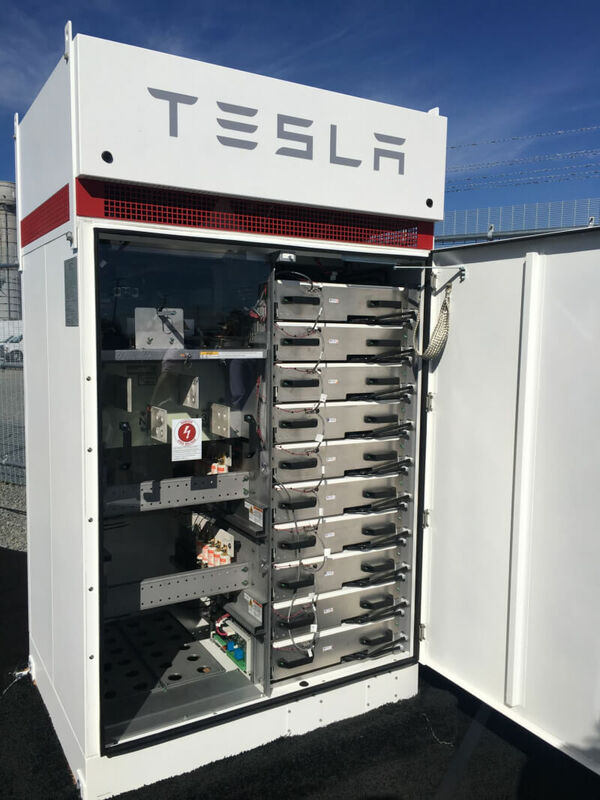 All of the units were manufactured at Tesla's Gigafactory and the system is essentially just an industrial sized version of their consumer Powerwall unit. Southern California Edison agreed to the project back in 2016 following a high profile gas well rupture that leaked 1.6 million pounds of methane into the atmosphere. Future renewable energy sources are inherently unreliable which is one of the reasons they have seen slow adoption. If the sun isn't shining then solar panels won't work and if it's not windy, wind farms won't work either. Efficient energy storage is the best solution to this problem. Electricity generated during low usage times can be stored and pumped back to the grid during peak usage, thus saving everyone money. It's a win-win for everyone involved, so look for many more of these plants to come online in the future.